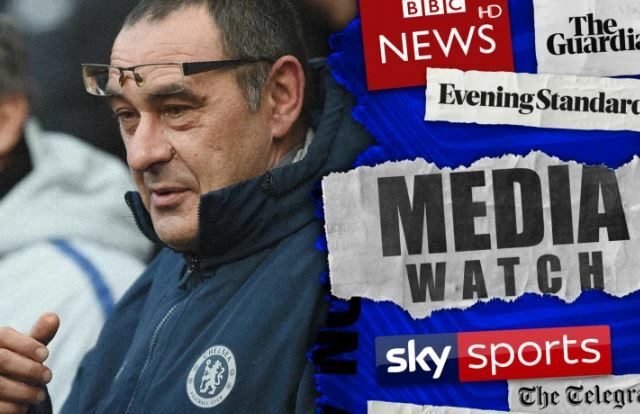 The Chelsea official website’s “mediawatch” feature is a pretty anodyne rundown of the day’s news in the press, but it’s caused some controversy this week. First it was because it was reporting on the Isco transfer rumours that did the rounds last week. Now the feature has caused even more controversy, by appearing again in the wake of our utter humiliation against Manchester City yesterday. Wonder what'll be in Media Watch tomorrow. We thought the club might take a week off, having really put their foot in it with the Isco stuff. Instead it seems they’re doubling down. I guess at this stage, they’ve not really got much face to lose.